A close-up of The Foresters Arms from a commercial post card. Note the bench seats around the bay windows. 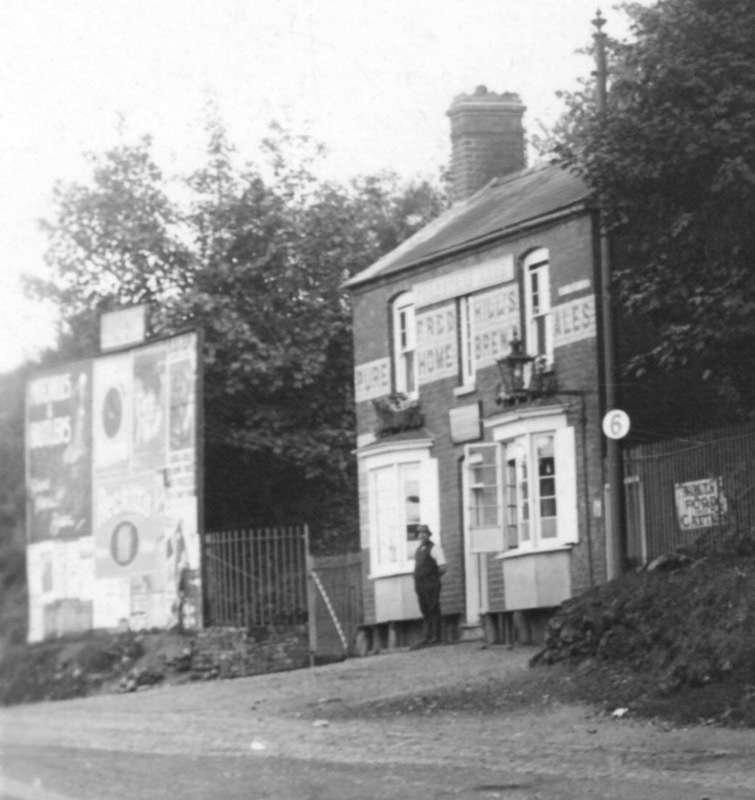 These were for passengers waiting for the Kinver Light Railway cars. I can remember in 1953 going to the foresters arms for a party to commemorate the queens coranation.All the children were presented with a tumbler, a spoon and a crown on a case.At that time I always knew it as The Ridge Top.